MACAU – There’s a new champion at 108 pounds, and his name is Hiroto Kyoguchi. The former IBF strawweight titleholder added a second belt to his resume’, stopping Hekkie Budler after the tenth round on New Year’s Eve to lift the Ring Magazine and WBA championships at the Wynn Palace Cotai in Macau. A quaint room with a select few high rollers from Osaka and close family of the Japanese fighter’s were in the ballroom for the action. Kyoguchi attacked first with an opening jab before a quick tie up to get things started. Budler anticipated more lunges from the challenger and used nice footwork to connect with combinations as he dodged the attacks. Kyoguchi ended the first with a right to the chin of Budler but without anything on it. A flush right uppercut hit Kyoguchi flush on the chin after another one of his lunges. The champion had done his homework and handed him another combination afterwards. The pace slowed in the third with Kyoguchi looking to make adjustments against his purple haired foe. Budler kept his distance and let Kyoguchi come to him, offering a steady supply of counters. Kyoguchi got more comfortable in the fourth and fifth and looked to settle in a bit more with harsher punches than before, along with a more balanced attack. 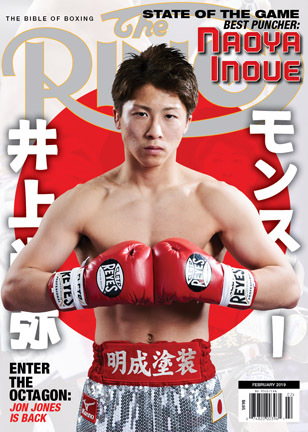 A left uppercut followed with a left hook from Kyoguchi would close the fifth. A busier output continued to stream from Budler though Kyoguchi was used to his movements at this point and began finding cleaner shots. This pace further continued into the seventh with the body work from Kyoguchi paying dividends and slowing Budler down. Budler’s face was beginning to show effects of the challengers work in the eighth. A hard left to the body from Kyoguchi proved he wasn’t abandoning his game plan and turning this into a brawl. Coming out of a break in which Kyoguchi threw a right hook to the chin that aggravated Budler, Kyoguchi attacked with a layer of combinations that appeared to hurt Budler. The champ let his guard down again and was hit with an overhand right moments later. The tenth saw Budler pawing at his bloodied face while Kyoguchi peppered him with jabs. A straight right to the face of the champion ended the tenth. Budler’s corner had seen enough, and with a shake of the head from trainer Colin Nathan, the courageous champion’s night was over. With the TKO, Kyoguchi improves to 12-0 (9 knockouts) while Budler, who had won the title in May with a decision over Ryoichi Taguchi, drops to 32-4 (10 KOs). 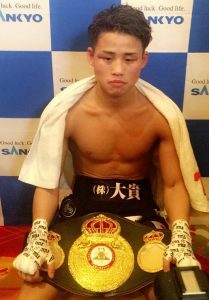 Kyoguchi will be looking to stage a unification with WBC champion Ken Shiro next year after three solid wins in 2018. “I could go along with my strategy. I want to have a big match or unification next year,” said the new champion, hinting at his continued desire for a showdown with Shiro.